In the world of Valkyria Chronicles, the year is 1935 E.C., and the continent of Europa has been plunged into the Second Europan War between the Autocratic East Europan Imperial Alliance -- also known as The Empire -- and the Atlantic Federation over the precious resource Ragnite. The Empire is sweeping through the continent like an unchecked wildfire and has its eyes set on the rich Ragnite deposits of the Principality of Gallia. Although peaceful Gallia remains neutral in the conflict, its citizens will need to defend home and country against the inevitable invasion. Players follow Lieutenant Welkin Gunther and the vaunted Squad 7 of the Gallian Militia as they take on the seemingly insurmountable forces of the Empire. HD CANVAS Graphics Engine - The stunning, painterly graphics return, but this time in 1080p/60fps high definition quality. 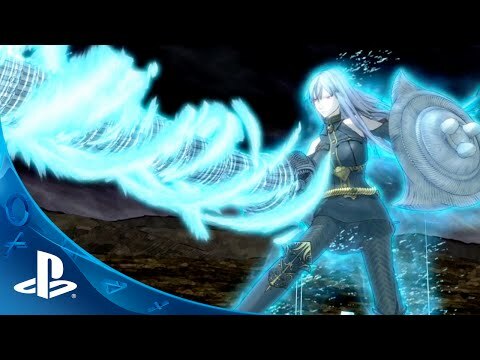 DLC Included - Besides the core game, Valkyria Chronicles Remastered includes all previously released DLC: Hard EX Mode, Edy’s Mission, Selvaria’s Mission and Challenge of the Edy Detachment. Valkyria Chronicles Remastered was released on Switch 188d ago in the US and the UK. Notify me when Valkyria Chronicles Remastered is available. Based on 2 Valkyria Chronicles Remastered reviews, Valkyria Chronicles Remastered gets an average review score of 85. Both beautiful and unique, Valkyria Chronicles Remastered looks and plays great alongside contemporary strategy games. Valkyria Chronicles Remastered is just as great of a game as it was eight years ago.